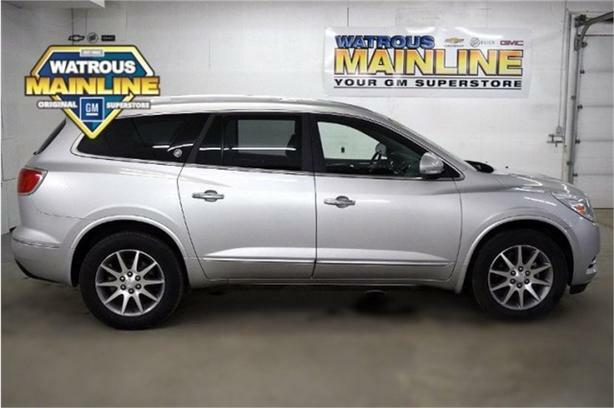 Check out this One Owner certified 2015 Buick Enclave Leather. Its Automatic transmission and Gas V6 3.6L/217 engine will keep you going. This Buick Enclave features the following options: Seats heated driver and front passenger, 6-speed automatic transmission with overdrive, heavy-duty engine cooling system and trailer hitch, ENGINE, 3.6L VARIABLE VALVE TIMING V6 with SIDI (Spark Ignition Direct Injection), DOHC (288 hp [214.7 kW] @ 6300 rpm, 270 lb-ft of torque [364.5 N-m] @ 3400 rpm). Test drive this vehicle at Watrous Mainline Motor Products Ltd, 208 1st Avenue East Box 70, Watrous, SK S0K 4T0.